What is Dyeing in Textile Wet Processing? The dyeing of textiles is usually understood to mean giving them a color which is of comparative permanence. This implies that it should not be possible to wash the color out easily in laundering, nor should it fade rapidly when exposed to light. The condition of permanence distinguishes dyeing from tinting (when the material is given a color which is very easily removed with a detergent and water). Yarns are tinted occasionally so that different counts and qualities can be identified during weaving or knitting or any preparation which precedes dyeing. In the definition of dyeing the permanence, or fastness, of the color bestowed was qualified by the adjective comparative. There is probably no dye which can be guaranteed not to alter shade under all conditions. There are great variations in the fastness of different dyestuffs but, as will be revealed, there have been many significant milestones in the search for better fastness during the last hundred years. It should provide sufficient movement for the liquor to penetrate uniformly into the textile materials. The liquor movement should not be so vigorous that the material is damaged, entangled or felted. The material used for the construction must be stable during prolonged boiling with acidic or alkaline solutions. The heating arrangements of the machine should be able to maintain uniform temperature throughout the liquor. There should be provision for addition of concentrated dye solution in such a way so that it is well diluted before it encounters the material. All moving parts and attachments should be protected against the corrosive action of seam and acidic fumes. 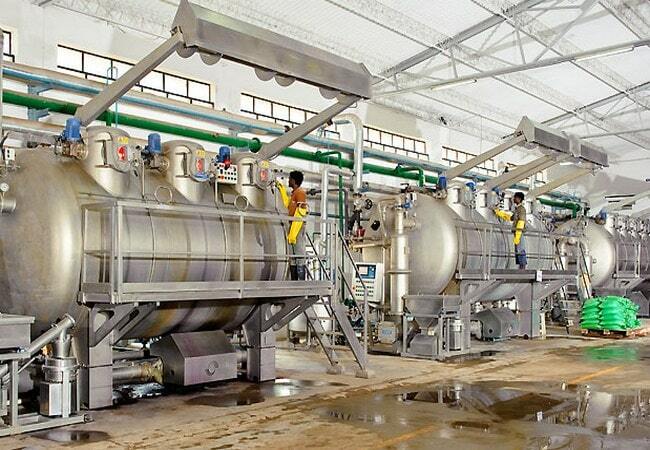 The largest possible water inlet valves should be attached to the machine, as considerable portion of the dyeing cycle is taken up for filling and draining of liquor. Closed steam pipes are preferred, rather than open ones, as the latter increases liquor ratio during the dyeing or wet processing process. The same closed pipe may be used for sending steam while heating, or cold water when cooling is required. Automatic temperature control devices may be attached for increasing temperature at a pre-determined rate and a pre-determined maximum temperature. Enclosed machines are preferred, rather than open vessels, as in the latter case steam or fumes may affect the surrounding atmosphere and may cause loss of steam and or volatile chemicals. Uniform penetration and level dyeing depend upon both mechanical and chemical factors. Level dyeing will not guarantee by a perfect machine unless proper precautions are taken with regard to addition of chemicals. And control of temperature. Of course, there should be adequate relative movement of goods and liquor or by forcing the liquor through the materials or by combination of both. Virtually no milling results when liquor is forced through static woolen fabrics or goods.